Blackberry KEYone android smartphone is the latest addition to the Blackberry portfolio. 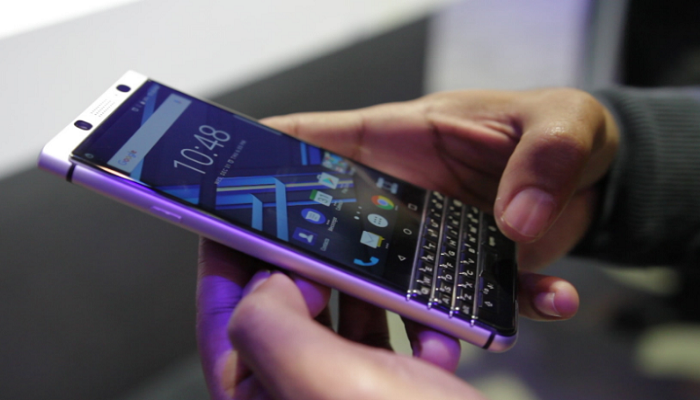 The new smartphone, also known as Blackberry Mercury was confirmed by Evan Blass, a journalist with an excellent track record for phone leaks as one of the phones the Waterloo company will release 2017. Combining a 4.5-inch touchscreen with a physical keyboard, the KEYone is the most powerful ‘Berry largest ever battery in a BlackBerry. It was unveiled ahead of the Mobile World Congress (MWC) tech show in Barcelona and has been built by Chinese manufacturer TCL Communication as part of a new deal to make BlackBerry phones. According to TCL chief executive Nicolas Zibell: “Impressively designed to be distinctly different, the BlackBerry KeyOne re-imagines how we communicate by offering unmatched productivity and the world’s most secure Android smartphone experience. The KeyOne features a 12-megapixel rear camera and quick charging technology which enables the phone to charge to 50% in around 36 minutes, BlackBerry says. The physical keyboard can be used not only as a keyboard but also as a scroll wheel. if you slide your thumb up and down on the keyboard, the page will scroll up and down as well. Things like that make a really unique device. It also has a fingerprint sensor built into the spacebar, which is an awesome touch (pun intended). The battery is something to gawk over as well. Coming in at 3505mAh, it’s incredible how thin the device actually is. The KeyOne comes in at 9.4mm thick, which is impressive. The KeyOne will be packing some pretty decent specs. It’s going to launch with a Snapdragon 625, which is something that had been rumored for a bit. It’ll also pack 3 GB RAM and 32 GB Storage with microSD card expansion. Sales of the BlackBerry KeyOne will kick off around the globe starting in April with pricing landing at $549 in the United States, and 499£/599€ internationally. Pre-orders open soon with registration available now on the company’s website.